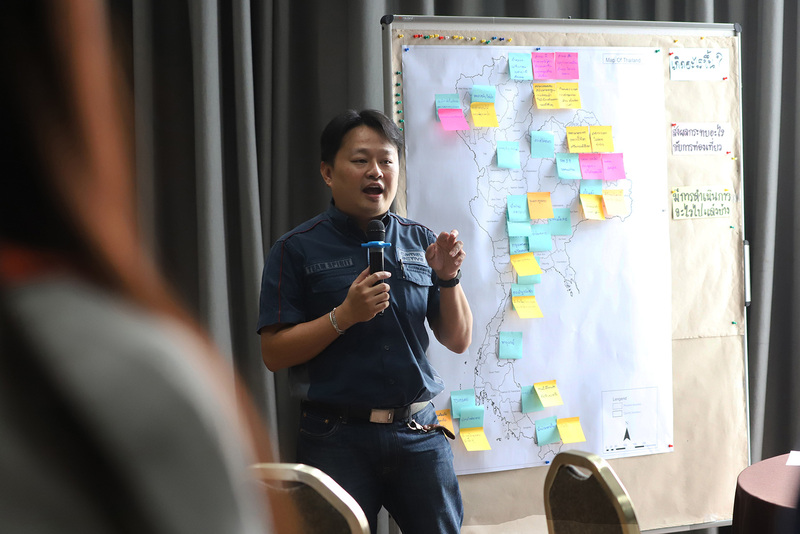 The Department of Tourism (DoT) and the Office of Natural Resources and Environmental Policy and Planning (ONEP) are combining their efforts and collaborating with local and international experts to save the tourism industry from the impacts of climate change. Weather is a factor in deciding on a tourist destination along with both the abundance and health of the destination. In terms of domestic tourism, the northern provinces have long been popular with Thais eager to experience cool weather in an abundant mountainous landscape, while those on the coastline attract both international and domestic travellers who are aficionados of the white sandy beaches and prolific underwater world. But what if the temperatures change? If the northern region no longer has cold weather, corals in the southern islands become badly bleached, the coastline is damaged and, even out of season, prolonged flooding hits Bangkok, will tourists still travel within and to Thailand? Additional costs may be incurred by tourism-related businesses such as insurance, energy management, tourist transportation, and water and food security—what will happen to these businesses? These are just a few examples of the impacts of climate change. Other regions of Thailand also experience or will experience it to a certain extent. According to Germanwatch, Thailand ranked 10th among the countries that faced climate risks in 2007. Tourism is a climate-sensitive industry. 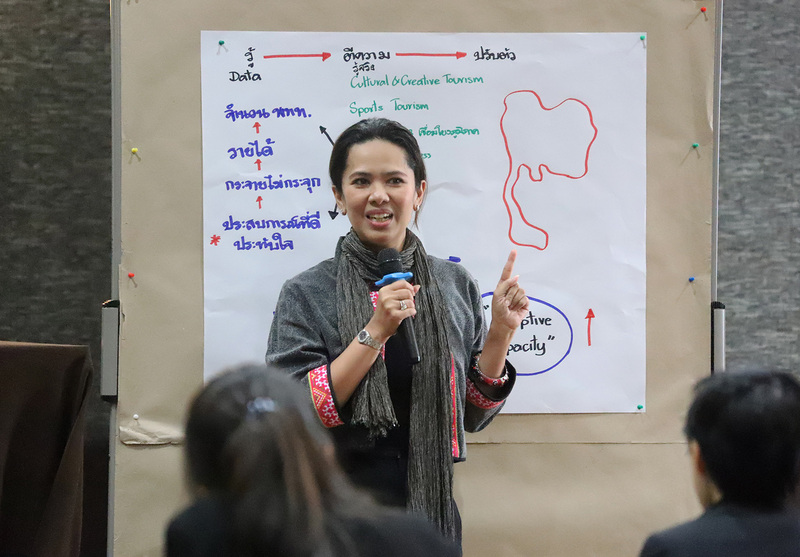 To counter these impacts, the Thai government is working to ensure the competitiveness of this sector in the world market, both for the health of the destinations and the well-being of the people. 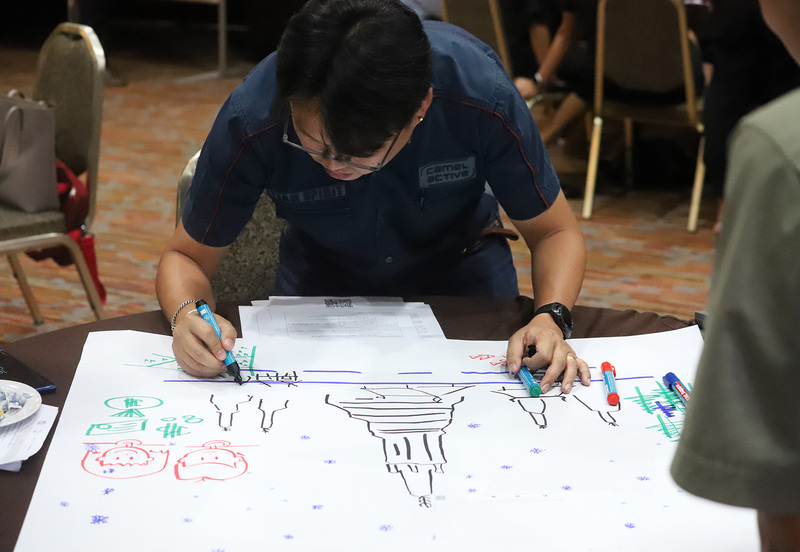 ONEP is currently putting climate adaptation strategies in place to ensure sustainability and resilience. 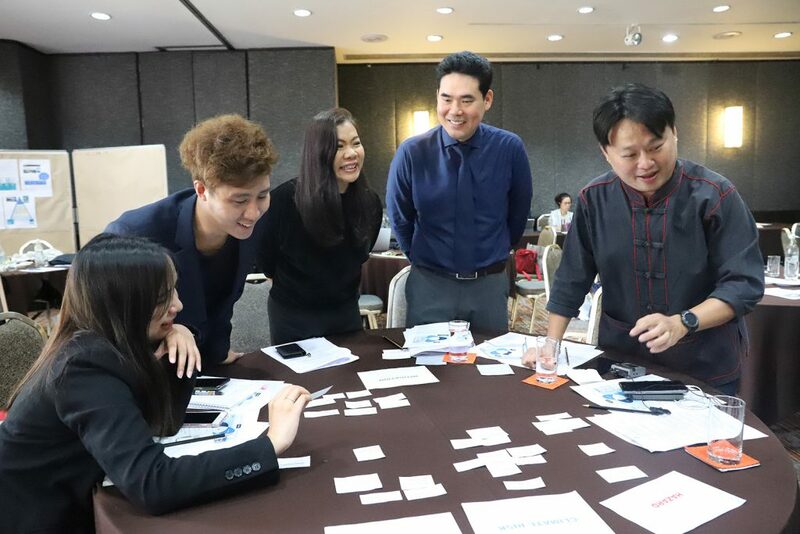 ONEP and DoT, with support from the Risk-Based National Adaptation Plan (Risk NAP) project of GIZ Thailand, organised a climate-resilient tourism development training workshop for tourism professionals including officials from relevant departments under the Ministry of Tourism, tourism associations, research organisations, and other relevant government agencies. 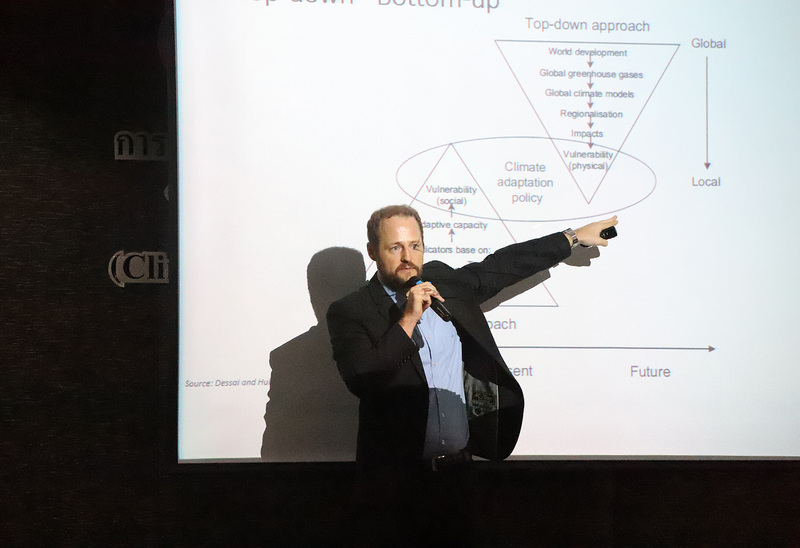 Local and international experts provided knowledge on climate change adaptation, tools and methods, climate risks, hazards and socio-economic processes, and encouraged interest in contributing to climate change policy and actions through participants’ respective roles and mandates. 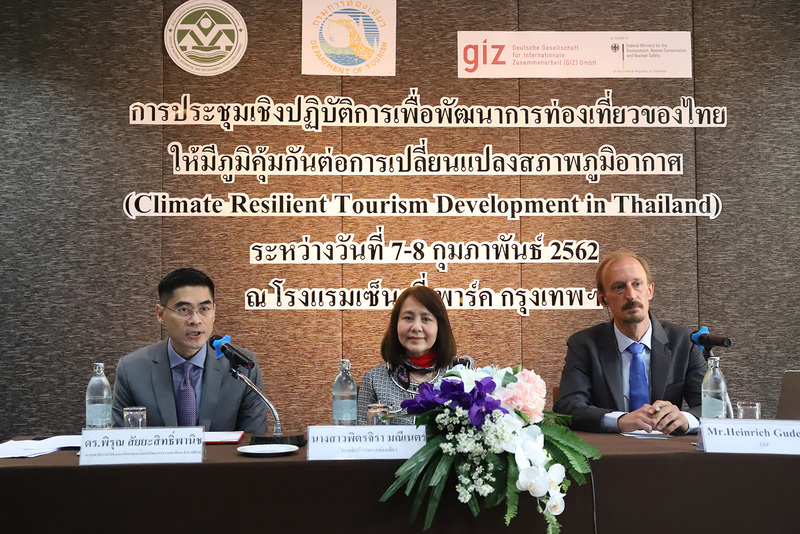 Key climate factors, the priorities of the sector, how to assess climate risks, and risk outcomes to guide the tourism-specific Climate Change Risk Assessment were discussed with the aim of arriving at an initial agreement. 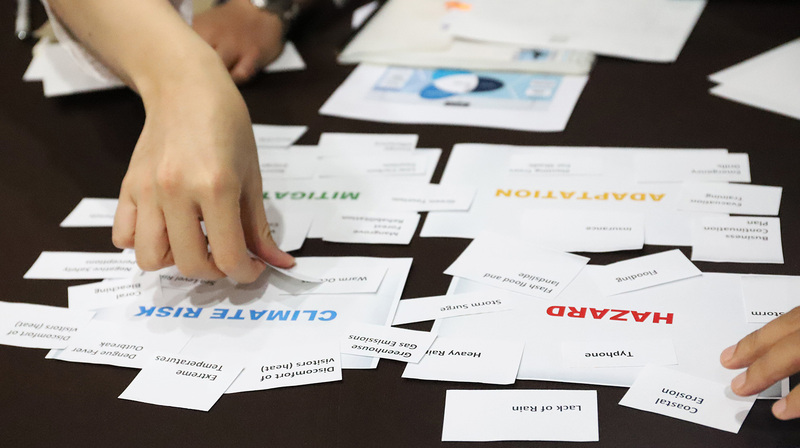 The roles and mandates of different organisations in relation to climate change were exchanged to identify policy entry points as well as information on the vulnerable areas facing major impacts, climate hazards, climate risks and Thailand’s key tourism development goals. Thailand is one of the top tourism destinations in the world with its natural wonders, unique culture and history, hospitality and its superb location in Southeast Asia. It was the 10th most popular tourist destination in the world, and ranked 4th in terms of highest income from tourism activities in 2017 (World Tourism Organisation). In 2018, Thailand saw a record 38.27 million tourists, up 7.5% from 2017. Tourism accounted for 17.7% of the Kingdom’s GDP in 2016. In addition, the tourism industry provided more than 4.2 million jobs or 11% of total national employment (The Second National Tourism Development Plan). 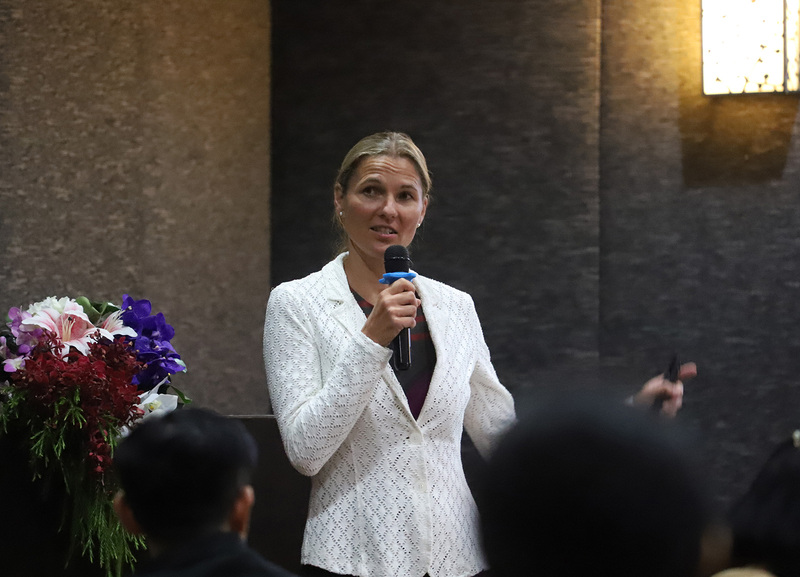 By 2036, Thailand will be one of the top quality destinations in the world, through balanced development while leveraging Thainess to contribute significantly to the country’s socio-economic development and wealth distribution inclusively and sustainably.